process again. It wills JIT compile every method in your application at first access. So you will experience a great delay on first access. You can change this setting (and other performance settings) from IIS manager, under Application Pools. Web application hosted on multiple server and access based on the load on servers is called Web Farms and When a single Application pool contain multiple Worker process is called web garden. 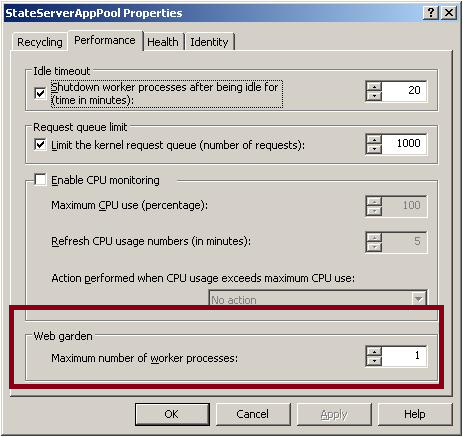 This entry was posted in IIS, Sharepoint 2010 and tagged How to use IIS Manager to get Worker Processes (w3wp.exe), Maximum worker Processes, W3wp.exe High CPU Utilization, web Garden by kazaki82. Bookmark the permalink. Hello! I really like this blog. Tell me please – from where do you have information for ths blog? Finally we solved the problem but programming a weekly IIS restart. Please follow our webpage and our IT Community.